Talking about beautiful places in Tenerife is practically redundant. It’s a majestic island, full of incredible places that offer a wide range of options, for all tastes and preferences. The most common is that people recommend us to go to the north of the island when we look for information on places we can go; But the south of Tenerife also has many charming places that we should know. The beaches can be seen with black, white, beige, fine sand, small stones, big stones, coves, with waves, without waves … Always with a fantastic climate that we can enjoy all year round. El Médano, in the municipality Granadilla de Abona, is the beach par excellence for lovers of sports such as kitesurfing or windsurfing. Space to fly a kite, take a walk on the sand or enjoy a beachfront mojito. Playa Honda in Las Americas has ideal waves to have a good time with the surfboard. For those who have never done it, they can take classes right there. But there is also a place for those who prefer to enjoy a beautiful sunset. Playa la Arena, in Puerto Santiago, offers a unique landscape with black and brilliant sand, great for making some very original photos. Las Vistas, in Arona, is a wide beach, ideal to spend a day in family with the children. It is also in front of the Port of Los Cristianos, in case there is the idea of taking a walk to the nearest neighboring islands. By boat we can reach La Gomera or La Palma in about two hours, more or less. But Tenerife South is much more than beautiful beaches. There are really lush landscapes that might astonish anyone. 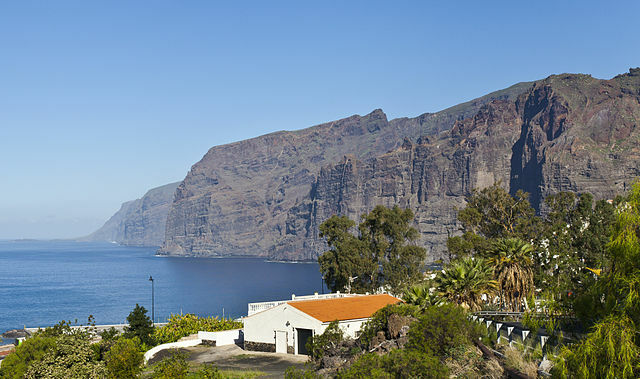 The Los Gigantes cliff in Santiago del Teide is an example of this. It offers one of the most imposing landscapes in the Canarian archipelago. The Guanches (first inhabitants of the island) called the Wall of Hell for its height of about 600 meters and depth of up to 30 meters. Seeing the seafloor in this place is awesome and you can visit it by doing kayak or boat trips. This second option is great if you want to go with children because during the crossing you can see cetaceans swimming. Barranco del Infierno in Adeje is another charming place in the south of the island. With an extension of almost two thousand hectares, between deep ravines and narrow hills shows a unique landscape. It is a place protected as a Special Natural Reserve, so access is limited to a maximum of 300 people per day, under reservation and with a strict schedule. If you are looking for a quiet stroll in the south of Tenerife you can visit some charming villages, where you can taste the typical food, try some of the best wines in the area and enjoy the warmth of its people. Vilaflor de Chasna in Granadilla de Abona is curiously the highest municipality in Spain, with approximately 1400 meters above sea level. Here you will find vineyards and wineries where you can taste wine of the best quality and prestige. Arico el Nuevo in Villa de Arico, with only 180 inhabitants is a small town with much charm. Here still some old houses are conserved typical of the place, that is declared Historical Set with approximately half century of antiquity. With all these examples it becomes evident that Tenerife is the perfect place to disconnect from the routine. It is varied and adaptable to all audiences. It offers beaches, ravines, mountains, spectacular views, magical villages, wonderful people, radiant sunshine with an enviable climate, warm waters, sports areas, leisure, relaxation and much more. 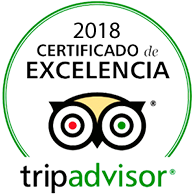 This entry was posted in Activities, Experiences, Tenerife and tagged lugares, places, Tenerife, tourism, turismo.